Manju Puri is the J. B. Fuqua Professor of Finance at the Fuqua School of Business, Duke University. 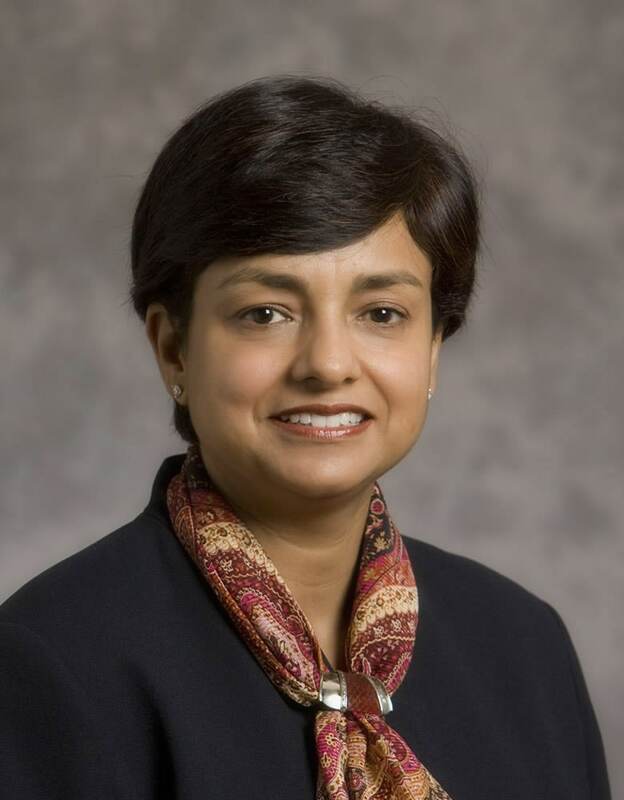 She was earlier Associate Professor of Finance at Stanford Business School, which she joined after earning her Ph.D in finance at New York University and MBA from the Indian Institute of Management, Ahmedabad. Professor Puri is an authority in the field of empirical corporate finance and has particular expertise in financial intermediation. Her published work spans the areas of commercial banks, investment banks, venture capital, entrepreneurship, behavioral finance, and FinTech. Her research has appeared in publications such as American Economic Review, Journal of Finance, Journal of Financial Economics, and Review of Financial Studies. She has been the recipient of the Sloan Research Fellowship as well as multiple awards from the National Science Foundation. Her publication record includes over 30 refereed papers in the top finance and economic journals. Her research has won many awards including four best paper awards at the FMA Annual Meetings, two Western Finance Association best paper awards, an All-Star award from Journal of Financial Economics, and three Fama-DFA /Jenson best paper awards in the Journal of Financial Economics. Professor Puri serves as Editor of Review of Financial Studies. She earlier served as Editor of the Journal of Financial Intermediation, as well as on the editorial boards of several journals including Journal of Finance, Journal of Money, Credit and Banking, Journal of Empirical Finance, Journal of Financial Research, and Journal of Financial Services Research. Professor Puri has served as the President of the Financial Intermediation Research Society. She has worked with multiple regulatory authorities serving on the Financial Advisory Roundtable, Federal Reserve Bank of New York and on the Model Validation Council, Board of Governors of the Federal Reserve System. She has also served on the Bose Committee on the commission structure of financial product distributors for the Government of India, and on the Advisory Board of CAFRAL, Reserve Bank of India. She currently serves on the International Association of Deposit Insurers (IADI) Advisory Panel, Basel, and as Senior Advisor, Center for Financial Research, Federal Deposit Insurance Corporation (FDIC). She is a senior academic fellow at the Asia Bureau of Finance and Economic Research. and a Research Associate with the National Bureau of Economic Research (NBER). Professor Puri teaches an elective she created on “Raising Capital and Financial Technologies” for the MBA students at Fuqua. She has also taught a Ph.D class on Empirical Corporate Finance and has taught Advanced Corporate Finance, and Venture Capital Financing at Fuqua and Stanford Business School. She has mentored a number of Ph.D students who have been placed at the leading schools and institutions including Board of Governors, Columbia, Cornell, McKinsey, MIT, Purdue, and Yale University.